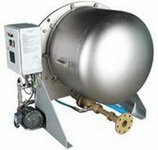 471103 Alfa Laval Alfa-Laval Titanium Plate Freshwater Generator Desalt JWP-26-C Series. Free download. 472101 Sondex SONDEX SFD 13 Fresh Water Generator - Instruction Manual, Operation & Maintenance, Drawings & Spare Parts List include Assembly drawing ? air relief system with Spare part list, Assembly drawing seawater pump (Iron 65-65/160) with Spare part list, Assembly drawing freshwater pump with Spare part list, Mounting and operating instructions for pumps. 472103 Sasakura SASAKURA KM20 Fresh Water Generator - Instruction Manual, Operation & Maintenance, Drawings & Spare Parts List. IWAKI Electromagnetic Metering Pump EH-R Type - Operating and Maintenance Manual with Spare parts List. SK 101 Salinity Indicator Manual with Block diagram.